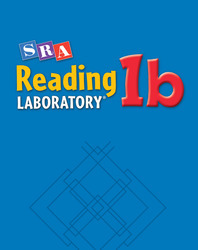 Add your students' names to the list of 100 million who have used SRA Reading Labs to become fluent readers. The leveled approach of this program helps you get the most from every minute of learning time. Reading Lab Deluxe Editions feature a comprehensive range of materials. Reading Lab Economy Editions are more streamlined and affordable. SRA salutes Dr. Don Parker, whose remarkable insight, creativity, energy, and concern have helped educators meet the individual learning needs of millions of children over the past 40 years. Parker published his first SRA Reading Lab in February 1957. The labs answered the question of how to provide individualized, multilevel learning for students. The story of the man with an idea and a box begins in 1950. While studying for his master's degree in psychology, Parker took a teaching position in a rural Florida school district. He says the superintendent wanted someone "to help our children read better." Although Parker didn't have classroom experience, he had taken psychology and education courses that he says gave him "ideas about individual differences among learners." Soon these ideas were energized as he tested 3,000 students at ten schools. Eventually, he focused on a class of 32 seventh-grade students with reading levels varying from second grade to twelfth grade. Parker wanted to help these students learn to read at a pace and level that was appropriate for their varied abilities. He began selecting and cutting out lessons from reading workbooks, sorting them by reading level, and putting them into folders. To avoid embarrassing any students, he didn't designate the folder levels by grade numbers; instead, he colored a band around the edge of each folder. He created keys so the students could check their own work and eventually move to the next color level. There were ten color-coded levels. Finally, Parker consolidated all the folders and keys in an old tomato box. This old box of folders and key cards became the earliest form of the Reading Lab. Over the next five years, Parker successfully opened a reading lab at the University of North Carolina and began work on a doctoral degree at Columbia University. Repeatedly encouraged to market his reading lab, Parker took his box (now a cardboard box painted blue) to Science Research Associates. A publisher of psychological, achievement, and vocational guidance tests, SRA wanted to branch out into learning materials. SRA was looking for new ideas. Parker's individualized, multilevel lab format—as opposed to textbooks—was a new concept for the classroom. He presented his innovative program to SRA, and the publisher grasped the potential of this unique learning tool. February 1957 was the publishing date for the SRA Reading Labs! Shortly after the first Labs debuted, Parker received his doctoral degree from Columbia University. Parker eventually became SRA's "scientist in residence." Over the years, other distinguished authors joined Parker in writing updated versions of the Reading Lab, elementary school versions, and supporting materials. Parker traveled extensively, teaching children the world over how to use his multilevel box, SRA Reading Labs. Over the past 40 years, multilevel teaching-learning systems developed by Parker in reading, spelling, vocabulary, literature, and elementary science have been used by more than 100,000,000 pupils in the U.S. and 62 other countries. The SRA Reading Labs continue to be updated, modernized, and, as always, multilevel. SRA congratulates Dr. Don Parker on his lifetime of achievement in helping children all over the world learn to read by using the SRA Reading Labs.